Algae is a problem in any tank, no matter how big the aquarium is and how much you take care of it. It appears because of inappropriate lighting, poor filtration, or just improper water parameters. Either way, you have to search for a way to get rid of it for good. The most popular solution for this problem is to install a CO2 system for the aquarium. You will have to learn how to adjust it and how to use it, but it will help you with many things and your fish will have a long, happy life. 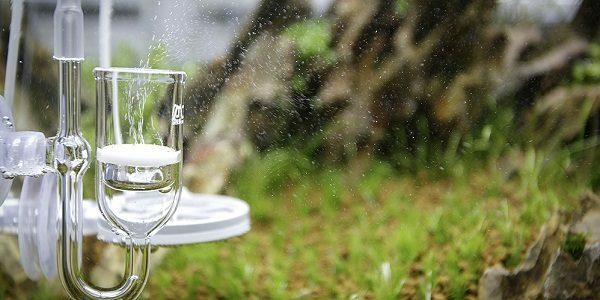 What is a CO2 aquarium kit and why use it? Many beginners hesitate to buy such a kit, as they think it is dangerous for their fish. In the end, it’s not like you need CO2, right? Well, you don’t need it, but your plants do. Plants need CO2 to release oxygen, which is why fish are healthier in a tank with plants. Of course, there is a certain amount of CO2 in your tank even without a kit, but very often it’s not enough. If you prefer a different method, you can use a liquid CO2 aquarium system, but this is not as safe or effective. When plants have all the CO2 that they need, algae cannot grow as much. Therefore, CO2 for aquariums ystems will help your plants grow to their full potential, while keeping the algae away. Naturally, there is various equipment on the market, but you have to pay attention not only to their quality, but also to how much CO2 they will release;too much can really hurt your fish. Can I make a DIY CO2 aquarium kit? 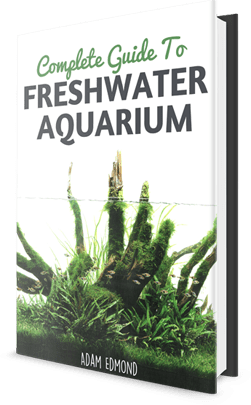 Even though there are many CO2 kits for aquariums,they can be pretty pricey and it’s not really worth it unless you have a large tank. Before you splurge on an expensive piece of equipment, you can try to do one by yourself. You will only need a few materials and it can last for years, as it is easy to maintain. The instructions are very simple and you can do this even if you are not a DIY master. First of all, you have to understand how this system works. A good CO2 aquarium kit will only produce a certain amount of carbon dioxide, so you have to make sure the amount of material used is enough. To start, you will need water, sugar, yeast, a few rubber tubes, a check valve, an air diffuser, and a few plastic bottles (such as soda bottles) depending on the size of your tank. As a general rule, you have to use one bottle for each 15 gallons of water. In one bottle, add about two cups of warm water and one cup of sugar. Shake the bottle until all the sugar is dissolved. After this, fill the bottle with cold water. Make sure the temperature is still a bit warm; otherwise you will compromise your entire project. Next, add 7-8 teaspoons of yeast and shake the bottle for a few seconds, just so the yeast spread evenly throughout. Make a hole in the lid of the bottle and insert a tube. Make sure the hole does not allow any air to go in or out;use silicone to keep the tube in place and completely seal the lid. Once this is done, you will have to cut the tube somewhere in the middle so you can attach the check valve. This is the CO2 regulator device you will use to make sure everything goes well. At the other end of the tube, you will install the air diffuser, which will go into your tank. In a few days (2 or 3), the yeast will start reacting with the sugar. As you can see, it only takes one hour of work and some simple materials to create something that will make a difference in your tank. Check the system every few weeks to make sure everything is working properly and replace the water, sugar, and yeast every time they stop producing carbon dioxide.